TCYD Holiday Party & Short Business Mtg. 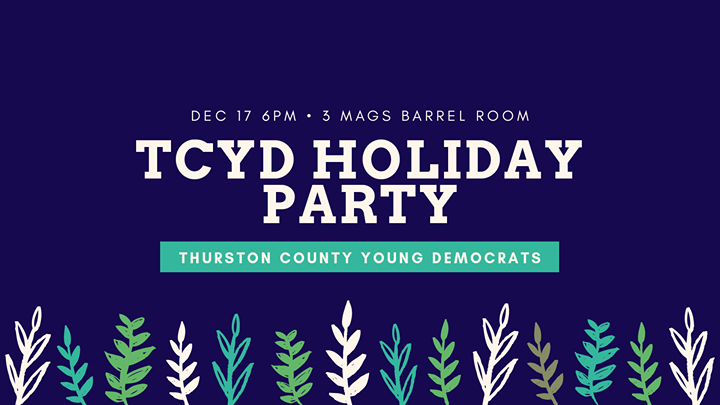 Join TCYD for a party to celebrate the holidays! Enjoy an evening mingling with your favorite Young and Young At Heart Dems. All ages are welcome, hope to see you there!